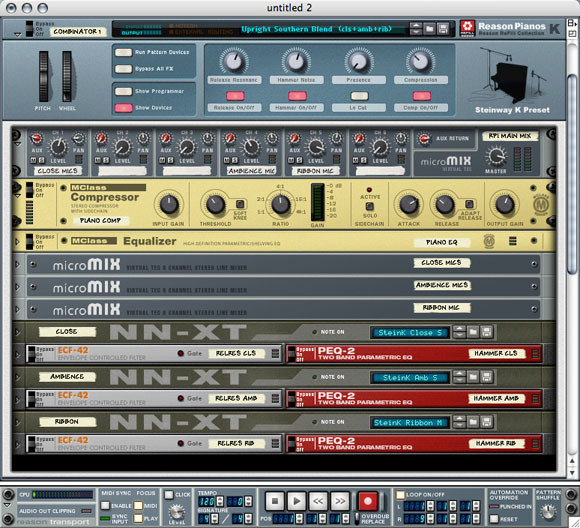 Via what Propellerhead calls ÃƒÂ¢Ã¢â€šÂ¬Ã…“hyper-sampling,ÃƒÂ¢Ã¢â€šÂ¬Ã‚? you can assemble endless realistic combinations of sounds. EverythingÃƒÂ¢Ã¢â€šÂ¬™s here: multiple dynamic levels, mics, playing techniques, and other variations of each sample. Thanks to ReasonÃƒÂ¢Ã¢â€šÂ¬™s ReFill format and features like the Combinator, the variety is inspiring, not overwhelming. Multi-output drum kits automatically connect to ReasonÃƒÂ¢Ã¢â€šÂ¬™s mixer so you can adjust the mix of different mics. 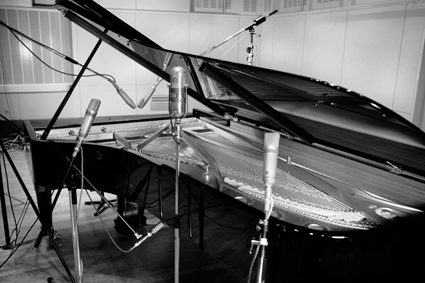 Mics and environment: Think hardwood recording studio rooms with both vintage and modern mics. No concert hall here, though if you’ve got a reverb of choice you can add that when you need it (or use one of Reason’s reverbs). I’ll reserve judgment until I can test these; stay tuned. But do I want more sampled pianos? Yes! Yes, I do! I’m personally interested because, in their reverb-added and reverb-free versions, they look like they could be perfect resource-light instruments for live performance. I’ll know once I’ve played them. Got more ReFills of choice, Reasoners? Let us know.